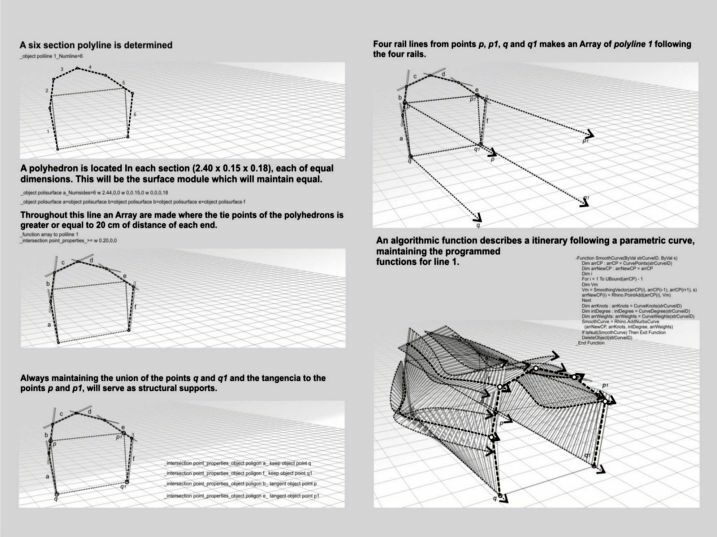 This project explores the incorporation of the digital tools in the constructive processes, generating a parameterized container according to constructive, structural and formal criteria that adjust to the demanded requirements. 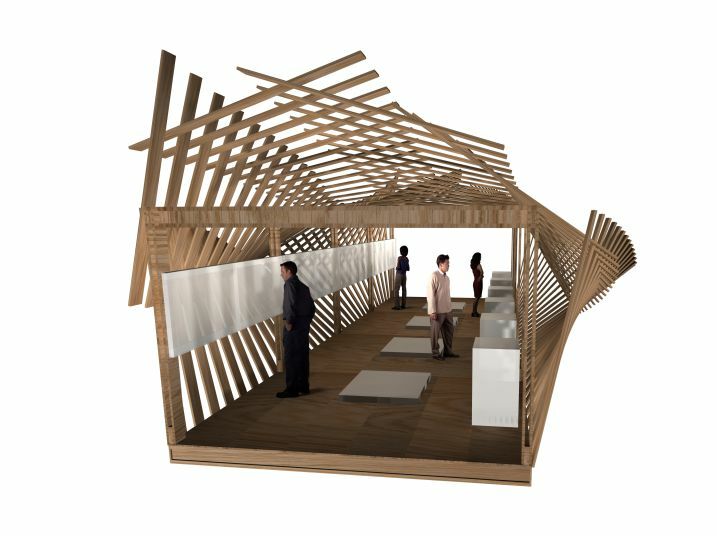 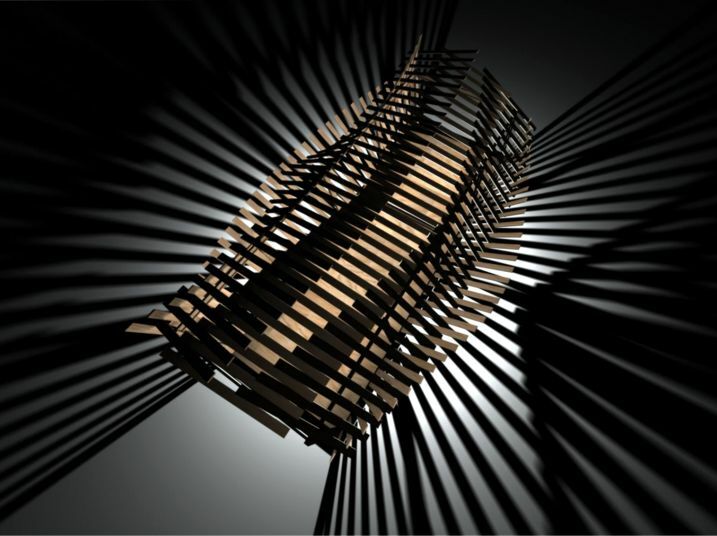 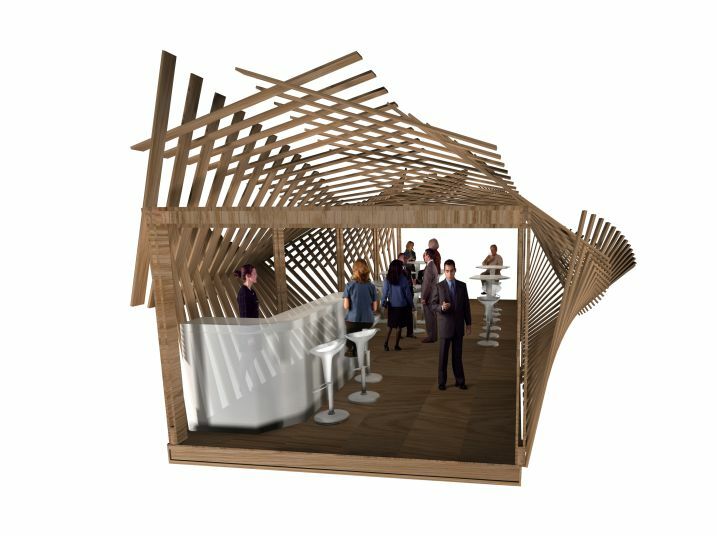 Going out from one unique module, determined by the dimensions of the material (plywood sheet), generating the minimum of waste, Reducing the costs in materials, combined with a fast and easy assembly/disassembling system. 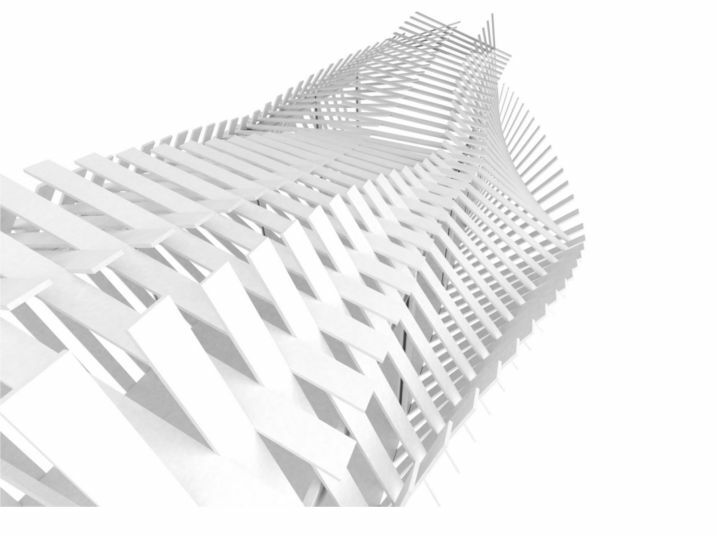 Calculating the surrounding surface whose structure will adapt to maintain the dynamic and static loads, using the minimum material to give greater solidity. 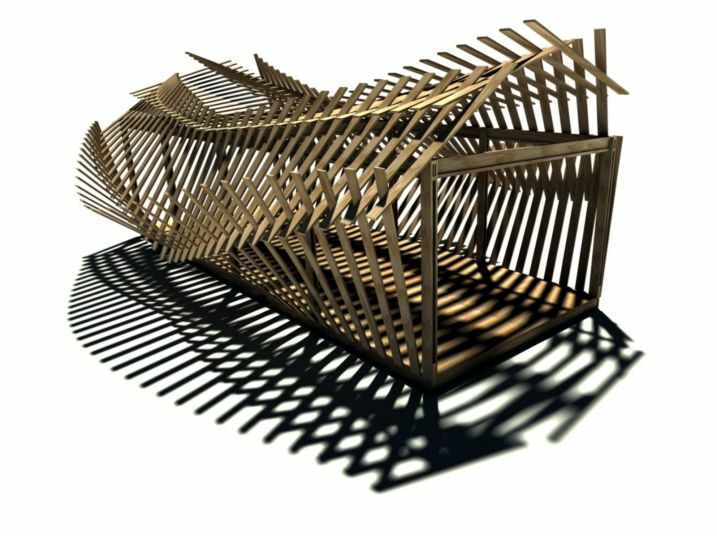 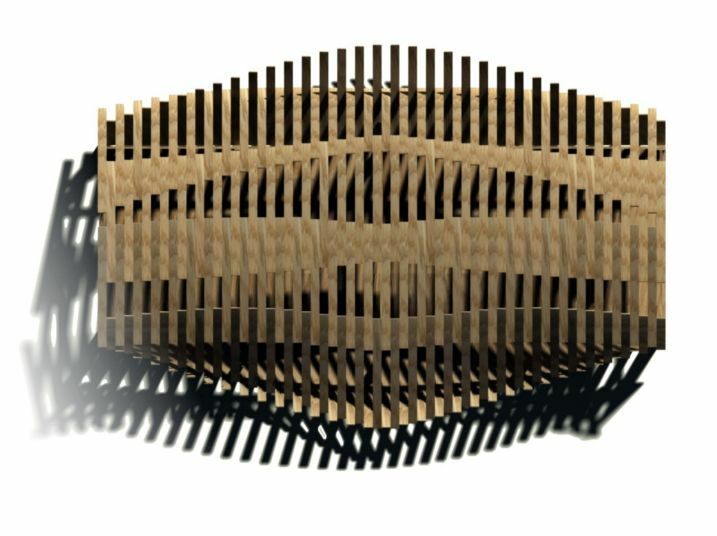 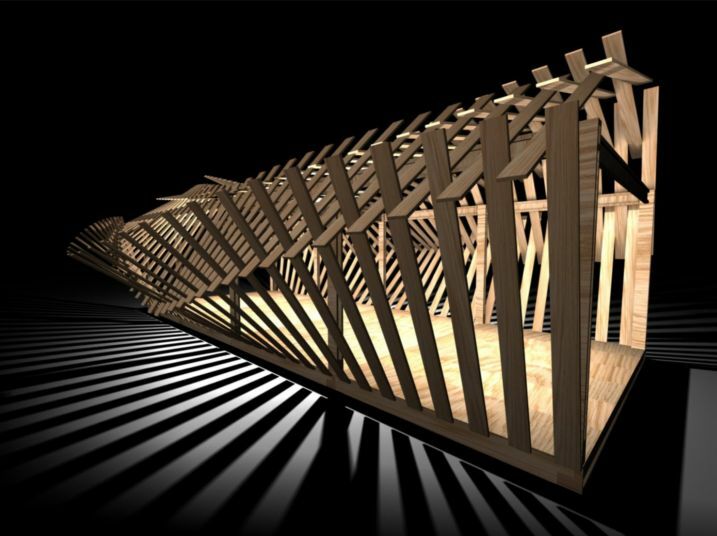 From one unit, under criteria of repetition and variation a dynamic space is generated, with a volumetric sensation of lightness, created by pattern built framework where the light sifts trough generating a game of shades during day and night.